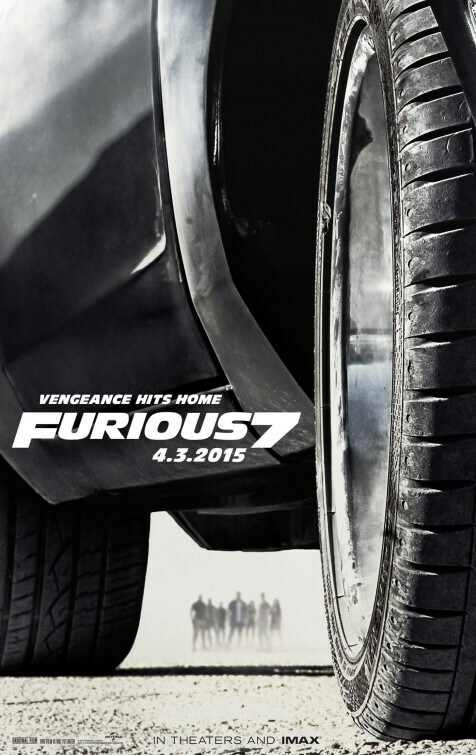 No film series in recent memory has had quite the turnaround as the Fast & Furious series. It began life in 2001 as director Rob Cohen’s The Fast and the Furious, a pseudo-remake of Point Break with added cars, then crashed and burned with John Singleton’s lesser follow-up 2 Fast 2 Furious (we’re still cringing over that title), then briefly attempted to get back on its feet with wobbly third entry Tokyo Drift and the even wobblier reunion flick simply titled Fast & Furious. But then came 2011’s Fast Five, a title we’re sure is making Enid Blyton spin in her grave, which injected the series with a new sense of entertainment with its enjoyably brainless action sequences and the addition of a scene-stealing Dwayne Johnson; and following that was Fast & Furious 6 which, while not as strong as its immediate predecessor, made the franchise’s new action-heavy direction official. If that’s what happened with Fast & Furious 6, then Fast & Furious 7 is the one that not only cemented it but also proudly wore it as a badge. Director James Wan, replacing regular helmer Justin Lin, has crafted what is easily the most entertaining pure action film in recent memory (then again, we have yet to see John Wick…), on both a visual and emotional level. Although he comes from a horror background – Saw, Insidious and The Conjuring are just a handful of films on his CV – he certainly has an eye for action and delivers a carefully paced series of gleeful set pieces that are designed to entertain its audience to no end. The key, however, is knowing exactly what you’re making and for whom, and Wan is more than aware of the franchise’s silliness by this point and asks us to just go along with it, something that Lin was never quite able to achieve. This is the type of action movie where all sense and logic, as well as all laws of physics, go out the window in favour of parachuting cars and running up the side of a falling coach on the edge of a cliff. The whole thing is pretty much a live-action cartoon, something Wan is able to understand and run with without taking too seriously, making this a genuinely fun piece of escapist cinema. Making things more impressive are the amount of practical effects used in many of these sequences – of course, there is a good deal of CG work in some areas, but for the most part these are real cars being used by ballsy stuntmen, and they are no less impressive. 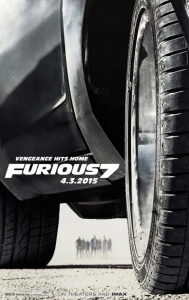 The much-hyped “air drop” sequence plastered over the promotional material, which sees Vin Diesel’s Dom and his rag-tag crew reverse out of a moving plane and parachute onto a road in Azerbaijan, is a particularly impressive set piece when you learn that real cars were actually dropped from a plane at 12,000 feet and filmed by skydiving cameramen. The various fight sequences are also a delight, with bust-ups including those between Jason Statham’s charismatic villain and Dwayne Johnson, and Michelle Rodriguez’s amnesiac Letty (who gets the most soap-ish scenes in the movie) and Ronda Rousey, who incidentally here gets to participate in her second Expendables movie of the past twelve months (and the far superior one at that, too). They are choreographed with the macho roughness and entertaining absurdity one expects from this particular franchise and Wan is able to stage them so we as an audience can at least make out what is happening (a feat that said Expendables movie, A Good Day To Die Hard and most recently Taken 3 all failed to achieve). Although the action scenes are as thrilling as ever, the key compartment in this film’s engine is by far its emotional impact. This is the first time in the series that this reviewer actually cared about what happens to the characters, and that is down to a double effort by Wan, who gives the cast meatier direction to work off of, and its talented ensemble cast. Whatever you may think of, say, Tyrese Gibson’s comic relief Roman or Chris ‘Ludacris’ Bridges’ tech whizz Tej, there’s no denying that all of them have great on-screen chemistry with each other, and Wan is able to work off that to provide an attachment with the audience. When anyone is in danger, there’s a genuine sense of panic that they might actually get chopped off (though considering this takes place in an OTT action reality, there’s really little chance of that) because they’re all so much fun to watch as well as likable in their own unique way. Then, of course, there’s the main talking point surrounding this movie. Paul Walker, who sadly died during production, is given a truly moving tribute in the closing moments, and fans will be pleased to know that these scenes are treated with heartfelt warmth and affection by a group of people who clearly feel for their eternal friend. The CG that has been used to complete his unfinished scenes, with the help of Walker’s brothers Caleb and Cody as stand-ins, is seamless and respectfully done without being too obvious. Anyone not at least feeling a lump in their throat as this touching ending rolls by clearly isn’t human. Even if you’re not a huge fan of the Fast & Furious series as a whole, it’s worth it just to see a respectful and love-fuelled salute to a parted friend, something not many other blockbuster franchises can claim for their own.